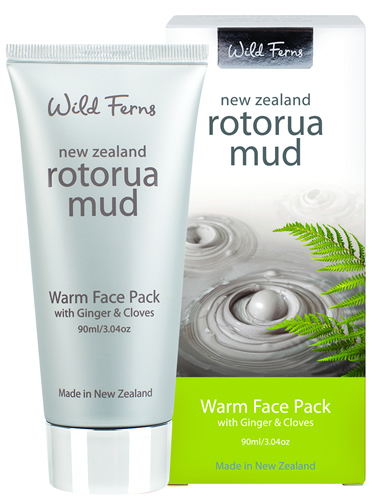 In Rotorua the inner heat of the earth has found its way to the surface bringing with it Rotorua's earth magic geothermal mud. Rich in rejuvenating minerals this mud has natural cleansing, antiseptic, healing and re balancing properties. 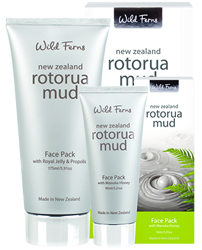 We have captured these special benefits in a range of products to assist in the health and enhancement of your skin. New Zealand is known for its extensive pockets of thermal activity particularly concentrated around Lake Taupo, and Rotorua areas in the North Island. 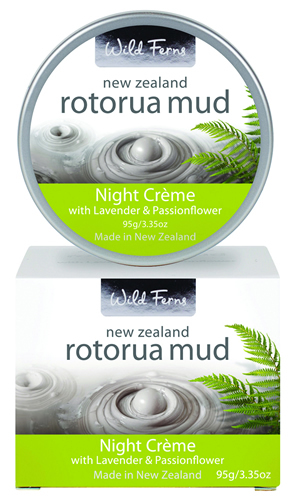 Rotorua has a strong tourism industry based around the many natural mud pools, geysers, & thermal mineral pools. In Rotorua tourists can go the Polynesian spa pools and have a therapeutic mud bath. 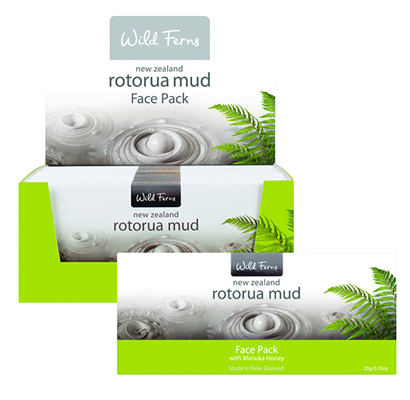 The natural mud pools in Rotorua are the source of the mud for the skin care range below. Renowned for its therapeutic qualities for the skin, the mud used in these products is specially sterilized and has impurities like volcanic ash removed, but still retaining the the beneficial properties of the mud. 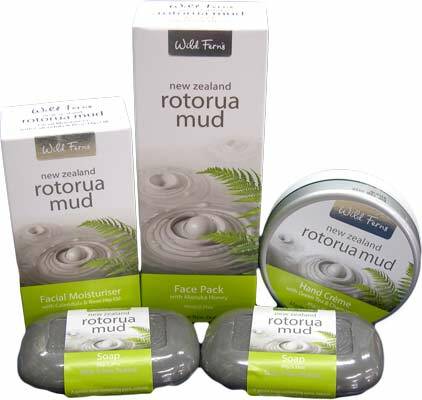 The mud in these products is mixed with mineral spa water and is rich in minerals from coming into contact with volcanic gases and minerals in the earth. 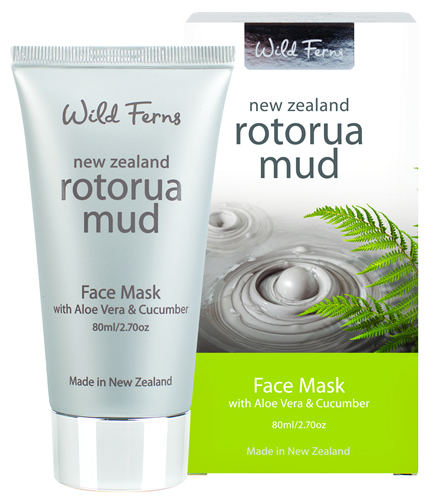 A highly effective mud face pack that gives you the concentrated deep cleansing. 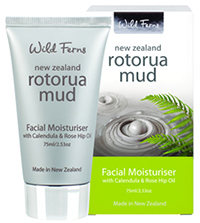 This has valuable vitamins and minerals that assist with skin health and youthfulness. Allow to dry and then rinse off in warm water. 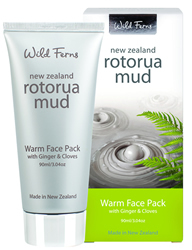 A highly effective mud face pack that gives you the concentrated deep cleansing. 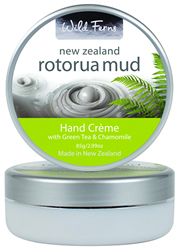 This helps to heal, sooth and rejuvenate your complexion. Allow to dry then rinse off in warm water. 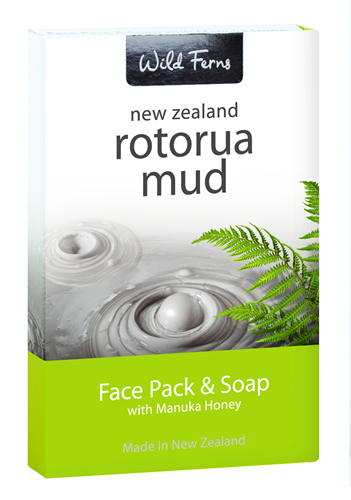 A wonderful mini pack of the Face Pack 10g and a small Soap 25g. 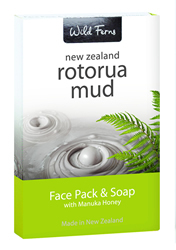 This is a mini Face Pack 20g. This is a gentle and smooth soap that produces a soft lather ideal for everyday use. 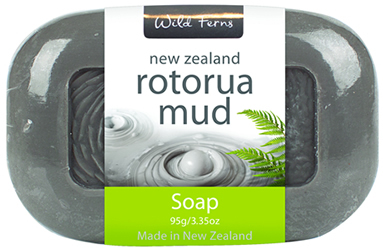 This soap is made from Rotorua thermal mud. The different colours show the natural colours of the many different minerals found in this volcanic mud.